When Panasonic first launched the GH1, its second Micro Four Thirds camera, it was widely seen as simply being a G1 with video shooting and a considerably more expensive kit lens. And, if your primary concern was stills photography then this wasn't an entirely unreasonable assessment. However, its real appeal was not that it had video, but that it offered what was, at the time, some of the most flexible, high quality video available. Again, the 14-140mm F4.0-5.8 kit zoom may not have been cheap but it had been specifically designed and built with fast, quiet autofocus and stepless aperture control to allow AF during movie shooting and exposure changes without sudden changes in brightness. Now that the G2 (along with the majority of contemporary cameras) is able to capture HD video, the distinctions between just being able to shoot HD and to really control it become more apparent. Stills shooters may get some advantage from the new, higher resolution sensor but the main differences between the GH2 and G2 are the ability to control the movie shooting process (both in terms of frame rate and shutter speed). In the years since Olympus and Panasonic jointly announced the Micro Four Thirds standard there have been eight models launched to date, seven of which share the same 12MP sensor. The only exception was the GH1 which, despite its 12MP output actually featured a 14MP sensor. 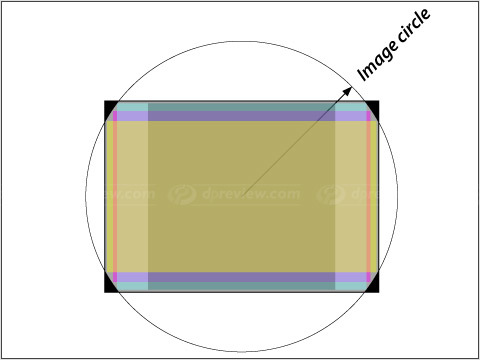 The sensor was slightly larger than the format's imaging circle, which allowed it to deliver images in different aspect ratios while retaining the same image diagonal. And now the GH2 follows the same pattern, shooting 16MP images using its brand-new, similarly over-sized 18MP sensor. This sensor is capable of much greater readout speed (120Hz) than its predecessor, bringing a host of benefits. Videographers will see an improvement in the quality of the highest quality output - the 1080i output is derived from 60p or 50p capture, rather than doubled-up from 24p or 25p on the GH1. The faster readout also means the AF system can more frequently check the accuracy of its focus, which promises faster autofocus (on lenses that can respond quickly enough). Finally, the faster readout means the live view is updated 60 times a second (rather than 24fps displayed at 60hz), giving a smoother viewing experience with less tearing. The electronic viewfinder has also been slightly widened - it now shows 852 x 600 pixels as opposed to 800 across - which allows it to display 16:9 and 3:2 previews without the need for such extensive cropping as before. The G2 alongside one of its current nearest competitors - the Canon EOS 60D. Although it follows conventional DSLR styling, the considerably smaller size and bulk of the GH2 is obvious in this view - one of the advantages of a mirrorless and (comparatively) smaller sensor design. Like the GH1, the GH2 is distinguished from its G-series contemporaries by its video shooting capabilities. The GH2 is a far more serious video shooting tool than the G2, and indeed the majority of its competitors - both mirrorless and DSLR. The GH2 offers a similar video specification to the GH1 but with one important difference - the sensor no longer doubles-up its sensor output in order to create its highest-speed video (the GH1 sensor could capture at 24 or 25 fps, which was then put out as 60i or 50i footage). Instead, the latest sensor can capture progressive (whole frames) at 60 or 50 fps. Its output is still limited to 60i or 50i because there are no common ways to distribute 60p or 50p footage, but this should certainly improve the output quality. In its 'Variable Movie Mode' the GH2 also has the ability to save footage at a different frame rate from the one captured - allowing slow-motion or high-speed effects. From the front, the main difference between the GH2 and G2 is that the former is slightly taller, and more of a 'classic' SLR shape. The G2 is a noticeably squatter when viewed in direct comparison, but the family resemblance is unmistakable. From the top, the GH2 is very similar to the G2. The most obvious difference is the stereo microphone which dominates the top of the flash housing of the GH2 (the G2 makes do with a single, tiny mic aperture just forward of the AF mode switch). Both cameras have a button for direct movie shooting, but whereas the G2 has a dedicated iA mode button, in its place the GH2 has a customizable 'Fn' button. 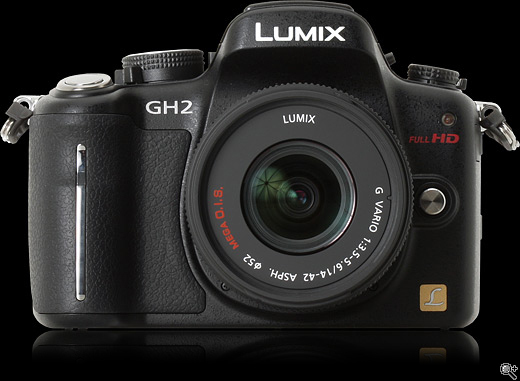 Like the Panasonic LX5 and the GH1 before it, the GH2 uses a multi-aspect ratio sensor. It's slightly larger than usual for Four Thirds, and at any given aspect ratio (even at 4:3) the camera only uses a crop from the total available sensor area. At first sight this may seem strange but the result is that the lens offers the same diagonal angle of view regardless of selected aspect ratio, making it much easier to get a feel for the behavior of the lens. It also means you make the most of the sensor area, getting similar pixel counts in all modes. Looking to maybe buy the GH2 for some outdoor/travel and adventure filmmaking. Simple stuff I guess because I'm not that knowledgeable about any of this yet. But I have to start somewhere and I want a camera that is capable of growing with me as I learn. My main question is, I can get a "Body only" for around $400 used. Or I can get it with the kit lens 14-42 mm for around $560. Is that the best use of that $160, or could I get a better all around lens, for cheaper? Or a combination of a lens and something else..Appreciate the suggestions and expertise! Thanks for all the reviews. Photokina 2010: Panasonic has announced the DMC-GH2 Micro Four Thirds camera. The successor to the GH1 continues with its 'hybrid' stills/video philosophy but adds a host of tweaks and improvements, foremost of which is a brand new 18Mp multi-aspect ratio sensor offering 16Mp output and an ISO range of 160-12800. 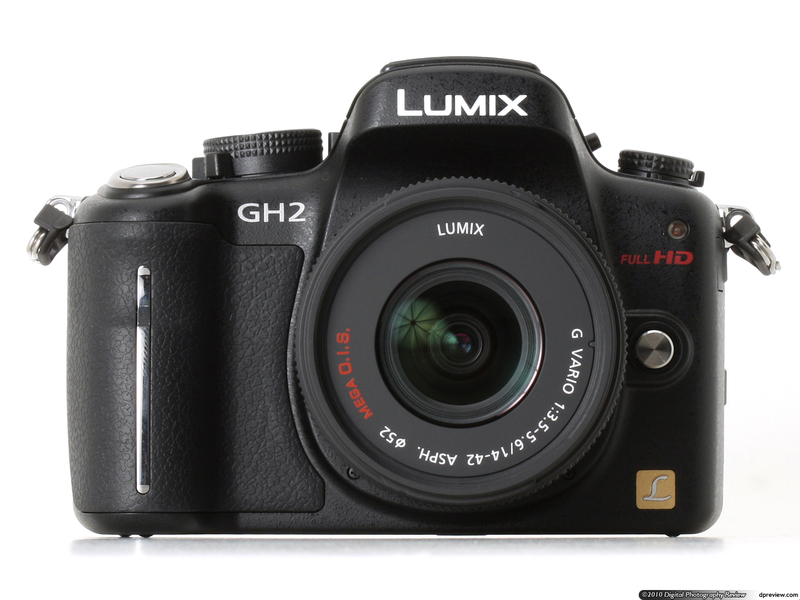 The GH2 also inherits many features from the DMC-G2, including a revised control layout and touch-screen control. We've had a pre-production GH2 in the office for a few days, so click through to read all about it in our hands-on preview.